Free Streaming Video Service for BlackBerry | BlackBerry Blast! QuickPlay Media announced the availability of VideoStreams, the first free video streaming service for BlackBerry® smartphones from Research In Motion. The streaming video service features a variety of entertainment content, including music videos, comedy, horoscopes and extreme sports, and is available immediately to customers in the United States and Canada. 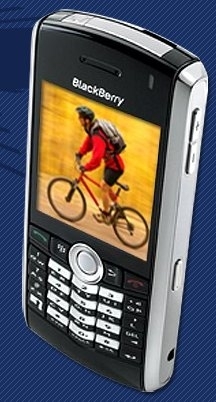 VideoStreams is initially available on the BlackBerry® Pearl™ 8130 smartphone to subscribers on North American wireless carrier networks that support EVDO, such as Sprint Nextel, Bell Mobility, Telus Mobility and Alltel Wireless. Eligible customers can visit www.videostreamsmobile.com using the BlackBerry® Browser to download the VideoStreams application over the air and to start using the service right away. Videos are streamed to the smartphone so there are no long waits to view the content, and unlike download services, no additional on-device storage is required. The service also includes a "send to a friend" feature to allow users to share video clips with friends and family.